IMPORTANT:In the case of being hosted on servers with large catalogs, you must be able to expand the "Max Execution Time" if necessary. 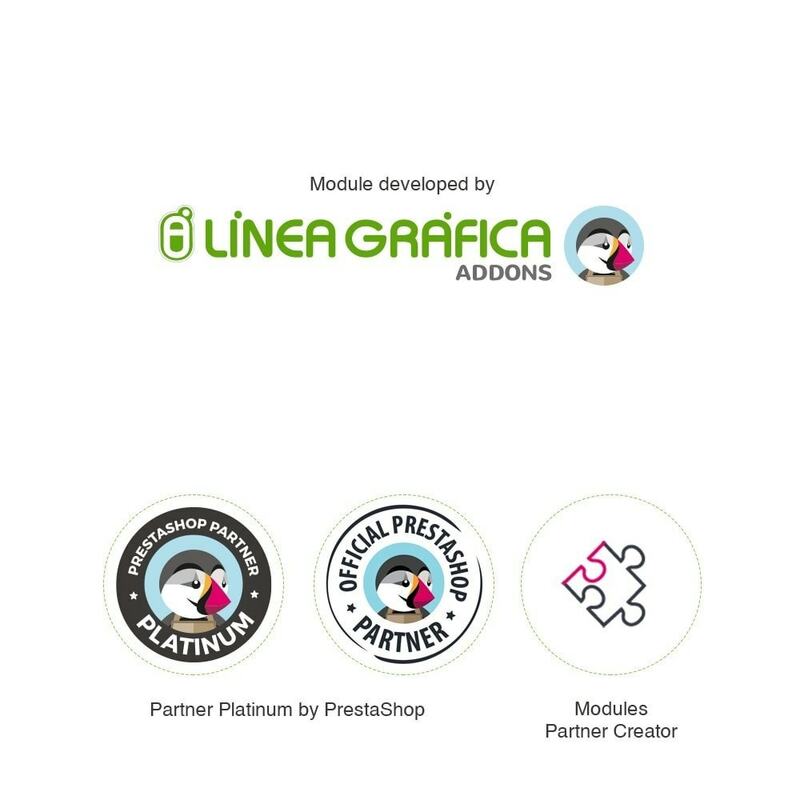 This module is perfect to increase the speed of your store! 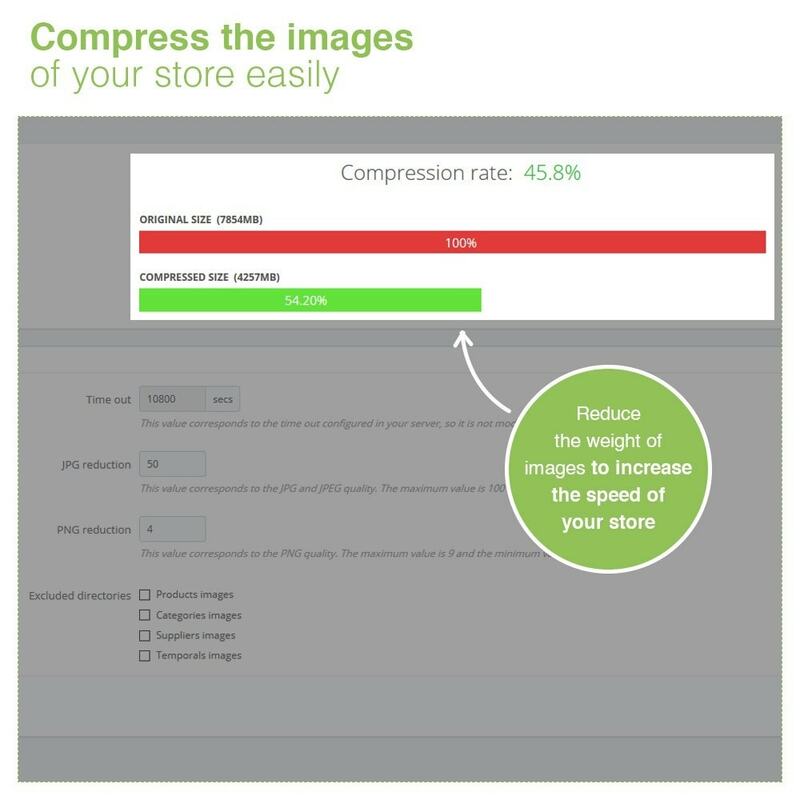 Our Image Compressor module reduces the weight of your store's images in the percentage you want. 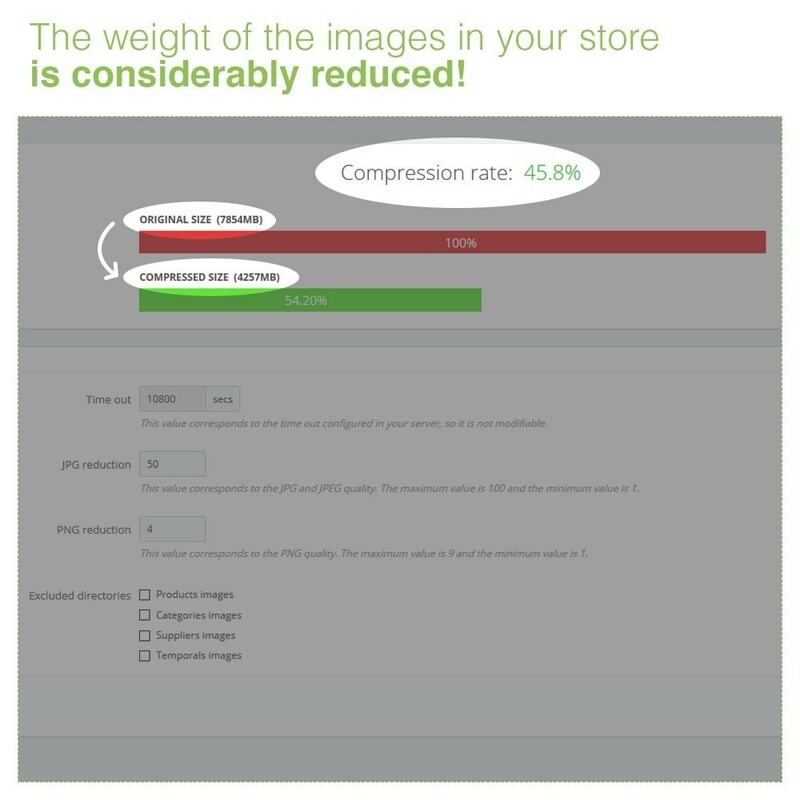 - Select the percentage of reduction that JPG and JPEG will have. - Select the reduction value that the PNG will have. 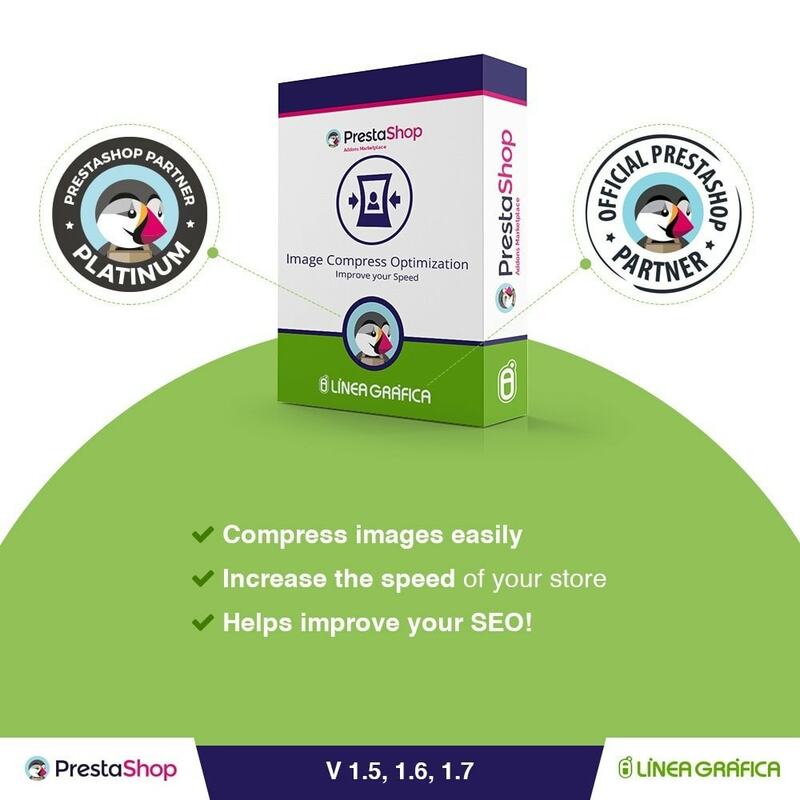 - Select the images of your shop that you do not want to compress. Our module will help you improve the speed of your store by making your customers navigate better through your store. In addition, it helps improve your SEO so that your clients will find you better.